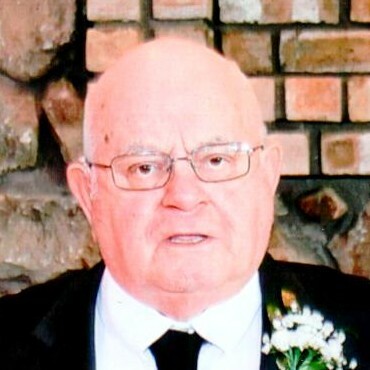 Obituary for Theodore James Atzemis | Fleming & Billman Funeral Directors, Inc.
Theodore “Ted” J. Atzemis, age 79 of W. 3rd St., Ashtabula, died Sunday 1-13-2019 at Marymount Hospital in Cleveland. He was born on July 27, 1939 in Ashtabula, the son of James T. & Emmaline L. (Kuhn) Atzemis. He worked for Reliance Electric Company for 34 years prior to retirement. He enjoyed mustang cars, doing yard work and putting up Christmas lights. He was an avid Cleveland sports fan and was known around his neighborhood as a neighborhood watchman. He loved Squire Shoppe Bakery and his daily coffee and donuts. He is survived by his children, Robert T. Atzemis of Warren, Michelle J. (Bud) Millick of Ashtabula; brothers, James T. (Susan) Atzemis of Ashtabula, Danial J. (Marylou) Atzemis of Ashtabula, Paul J. (Lois) Atzemis of Ashtabula; grandchildren, Diana M. (Matt) Jankowski of Cleveland, Joshua J. Atzemis of Lakewood, Stephany M. (Andrew) Millick-Kane of Lakewood, Rachel J. (Joseph) Stewart of Avon Lake, Ashley J. Atzemis of Crainsville, PA; great grandchildren, Brody T. Jankowski, Cole H. Jankowski and Lucille J. Millick-Kane; brother-in-law’s, Donald B. Peters of Ashtabula and Dennis P. (Valerie) Peters of Ashtabula. He is preceded in death by his parents; wife, Jean M. (Peters) Atzemis (1987), sister, Emmaline P. Ensman. Visitation will be held Thursday, January 17, 2019 from 10-12:00 P. M. at the Ashtabula Home of Fleming & Billman 526 W. Prospect Rd., Ashtabula, with Certified Celebrant Alisa Nierzejewski officiating. In lieu of flowers memorial contributions can be made to the American Lung Association, 6100 Rockside Woods Blvd., N. Cleveland, OH 44131 or American Cancer Society, 10501 Euclid Ave., Cleveland, OH 44106. Funeral services will be held at 12:00 P. M. following the visitation at the funeral home. Burial will take place at Edgewood Cemetery. The directors and staff at Fleming & Billman Funeral Home and Crematory are honored to serve the Theodore “Ted” J. Atzemis family. Full obituary, guestbook or to light a candle can be found at fleming-billman.com.